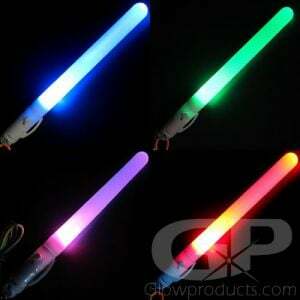 - Bright 9 inch LED Baton Light Stick! - Easy to Grip Handle! - Flashing & Steady Light Modes! 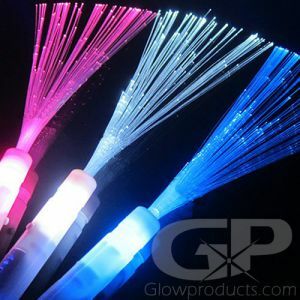 - Your grip won't cover the Glow! 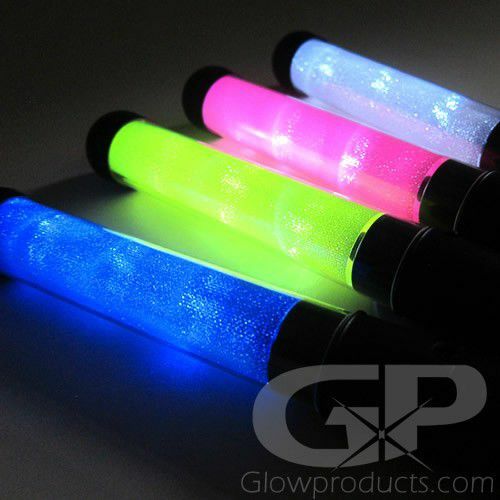 Big, Bold and Beautiful 9 Inch Glowing LED Baton Light Sticks are a bright battery operated baton style LED light stick with a handle and super bright LED Lights. 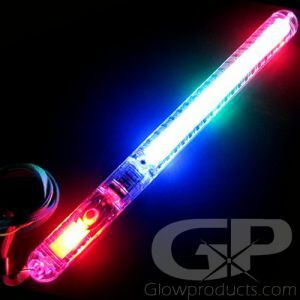 The Big 9" LED Baton Sticks are an inch in thickness and the easy to grip handle means your hand won't slip or interfere with the cool glowing effect! 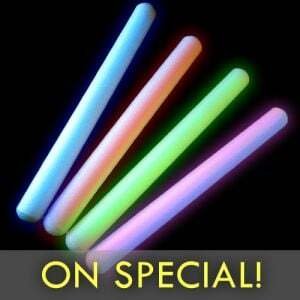 These are sturdy, super-bright LED baton sticks that really stand out from the crowd and make a big impression on everyone! 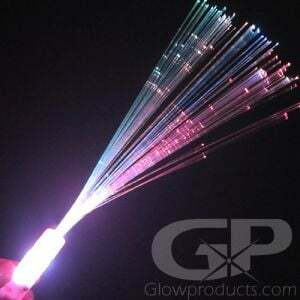 The LED Light Stick Batons come in a variety of color options including White, Blue, Green and Pink. 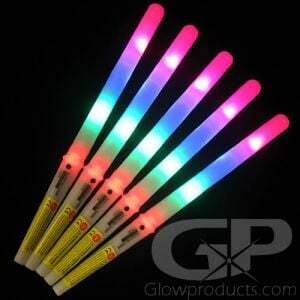 Each Glowing LED Baton Light Stick can switch between Flashing and Steady Light modes. Batteries are included and already installed and replaceable. 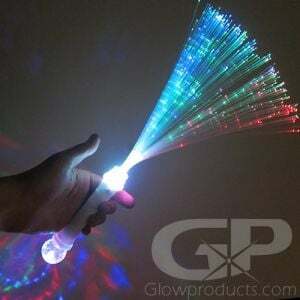 A great battery operated light wand for festivals, costumes, special events, dance routines and concerts!